We use Virgin Money Giving to take donations online. It's very simple to use! You can give us extra help if you complete and sign a Gift Aid Declaration Form when making a donation by cheque. At no extra cost to you we can then claim back 25p for every pound that you give. 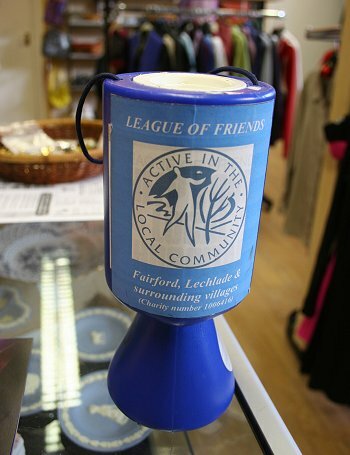 Donations can also be made, of course, at our League of Friends shop in Lechlade.